Disney Infinity: 3.0 Edition is ranked in the 83rd percentile of games scored on OpenCritic. Behind a wonderful Toy Box experience that actually rewards you for having the older figures in the series and a deep "Twilight of the Republic" plates, "Disney Infinity 3.0" is a wonderful addition to the series that can be played by anyone. While kids will naturally be attached to the series because of the figures, adults will love the simple, but addictive gameplay that takes them through a wonderful galaxy, far, far away. Avalanche Software and Disney have done it again and successfully incorporated the Star Wars universe into the Disney Infinity franchise. The gameplay has been tweaked and the graphics look more detailed with only a few graphical glitches here and there. Whereas Disney Infinity 2.0 was best played with another player, Disney Infinity 3.0 features a very strong playset that can be played solo or with others. It is a well written story and with the revamped gameplay, it will easily draw you into this colourful universe. Sure, there are a couple of mundane tasks like getting from A to B or those sometimes mediocre vehicle events but overall, this is Star Wars and succeeds at paying homage to the wondrous imagination of its creator, George Lucas. Disney Infinity 3.0 is the best of the series yet, with the excellent Twilight of the Republic starter set, and the general polish of the game overall is extremely refined with gameplay feeling much more responsive. The Toy Box feels much more like something you could actually build game content in now as well, with greater detail in the design-by-numbers features. Disney takes a big step forward in Infinity 3.0, and the result is a world-building experience that does indeed feel infinite in its scope. With so many figures . . . , it's pretty easy for the overall cost of a game like Disney Infinity 3.0 to stack up. But at the same time, if you're smart about it (and able to defuse your kids' desire to buy 'All The Things') Disney Infinity offers a much more affordable approach to gaming than just buying new games all the time. Even with the high cost of entry for the full experience, the Star Wars based gameplay transcends what you usually expect from a Disney Infinity game, with the Toy Box continuing to be a hub for creativity to thrive in Disney Infinity 3.0. Disney Infinity 3.0 succeeds as both a Star Wars game, and a Disney Infinity game. Disney Infinity 3.0 is the most polished, cohesive and enjoyable game in the series so far. Disney Infinity 3.0 is an absolute blast for the entire family. The development teams have done a great job at rounding out the experience to make it both more accessible and more enjoyable for all ages. The steady trickle of new playable levels in the Toy Box probably won't include anything as impressive as the Play Sets, but the sheer volume of extra material, and the ingenuity displayed by your fellow players, should keep you playing Disney Infinity 3.0 until the next version inevitably rolls around. Despite its issues, Disney Infinity 3.0 is a worthy entry in the series that really improves upon last year's effort. If you're a fan of the toy and video game franchise and are also intrigued by the addition of the Star Wars universe to the Infinity series, this is one game you'll want to stay on target with. Disney Infinity 3.0: Star Wars Edition adds another massive and massively popular property to the series' roster. Both the Star Wars and Inside Out Play Sets are well done and the new Toy Box is much better organized. Since toys-to-life games are all about breathing life into your favorite characters, Disney has an advantage (at least now that they're past the Lone Ranger). They leverage that here and the result is fantastic. I have always been super critical of the Infinity series, mostly because I want to love it. The characters are among the best in the genre, and it fills my childhood dreams of playing with my favorite toys. 3.0 finally hits all the right notes, and fixes most of my complaints with the previous entries. I am now on board, and ready for the next Star Wars expansion to arrive. My wallet just got a lot lighter, but the fun I will have makes it all worthwhile. Disney Infinity 3.0 improves combat, adds space combat, and couples it with the most storied franchise in history to create a hit. The story is worth playing, and (most) of the vehicles are a great addition to the formula. With dozens of hours of content on top of the Toy Box's modes virtual sandbox, this year's iteration truly has the potential for infinite fun. Just like its predecessor, Disney Infinity 3.0 feels a bit limited by the lack of variety in the Starter Pack, but the good news is that the studio is still on track with its core mission to create an action game for all ages. Twilight of the Republic is still a fun way to spend your time, and the Toy Box Mode should keep you busy even if you don't intend on buying any more pricey add-ons. All in all Disney Infinity 3.0 marks a return to form that was lost from 1.0 to 2.0. It's nostalgic for the parents while being accessible for the young ones and makes for a perfect 'play games with your kids' situation. When you're marketing some of the most loved IPs of all time it's a shame to let them go to waste with poor gameplay and Disney hasn't forgotten this. Any purchase you make in Disney Infinity will reward you in many ways, and between the Toy Boxes you build for yourself, the ones packed into the Hub, and those you download online, there's a crazy amount of levels. Few games today receive this much support throughout the year, and have such a dedicated community of people giving users more and more inventive creations to enjoy. If this year of Infinity is anything like the last two, 3.0 is something that kids of all ages will want to be a part of. The Disney Infinity 3.0 Starter Pack is a great introduction that will keep kids and kidults alike entertained for a long time. The Force is most definitely strong with Disney Infinity 3.0, which feels like a much more complete experience, successfully marrying its two halves - Toy Box and Play Sets - into a cohesive and entertaining whole. Disney Infinity 3.0 Edition is a marked improvement over its bland predecessor, and good value at its lower price point. Some of the title's best content is likely unreleased as of yet, but what's available in its Starter Set is definitely worth the price of admission. Disney Infinity 3.0 is a solid update to last year's edition, and fans will have a lot to like. It seems more focused on addressing complaints and shoring up weak points than it does in reinventing the wheel. It largely feels like an excuse to introduce the Star Wars juggernaut to the franchise, and it's certainly a good move. The Star Wars characters and play sets alone make it a worthy purchase for young fans of the franchise. Having Tony Stark and Han Solo team up to beat up Syndrome is just icing on the cake. A surprisingly strong effort at turning around the disappointment of last year's game, with the best Star Wars action this side of Battlefront. Disney Infinity was a bold venture even by Disney standards, but it's one that has rapidly come into its own. 3.0 is a leap forward for the franchise, offering an exceedingly well-presented universe that's easier to explore than ever, but features enough content to easily keep devotees occupied for as long as desired. Disney Infinity 3.0 definitely managed to improve on last year's model. With the fluid combat, even more Toy Box Hub options, and gameplay to cater to every play style, there are endless hours of fun here and I could write pages and pages for this review, but no one wants to read a novel. So instead, pick it up and play it to appreciate it for yourself. Disney Infinity suffers from some very short-term flaws (that interface, ugh!) and long-term challenges (the price of the game adds up quickly). If you're willing to grapple with those issues, however, you'll find an excellent, expansive, and remarkably well-crafted action game brimming with variety. Dabbling in nearly every genre imaginable in addition to its baseline sandbox mode, Infinity 3.0 has appeal for players both young and old—that is, whether you grew up with Luke Skywalker or just cut your teeth on Anakin and Ahsoka. As questionable as some of the outside marketing practises are, Disney Infinity 3.0 stands above all its competitors in the toy-gaming genre. What cannot be questioned is that Disney has control over some of the most loved and sought after licenses. The Star Wars campaigns that are just some of the available are very well developed and - most importantly - fun. The biggest and best Disney Infinity yet, with more activities to get you started in the Toybox mode, and stronger playset campaigns when you just want to play a game. The lure of Star Wars will be enough for many gamers, but it's still the creative stuff where Infinity shines, giving kids not just the chance to explore the worlds of Disney, Pixar, Marvel and Star Wars, but the power to build their own. Alongside substantial improvement to the game there has been considerable effort to improve the value here with the lower price starter pack. Disney Infinity 3.0 will be hard to resist for fans of the film and families looking for this year's toy-to-life video-game investment. A step in the right direction, Disney Infinity 3.0 proves that the franchise still has legs, and isn't out of fresh ideas just yet. Despite those load times, Disney Infinity 3.0 is a very strong addition to the franchise. The Star Wars content is handled well and the Toy Box additions will open game-making to a wider audience. While Disney could have rested on the knowledge that this year's brands would sell themselves, it's good to see that it's taken the game forward in substantial ways. This is the best Infinity's structured play sets have ever been, but the Toy Box remains a wonderful, awe-inspiring and simultaneously overwhelming experience. Disney Infinity 3.0 steers the series back on track after last year's small spanner in the works. It's a fun and enjoyable game that never outstays its welcome while also striving to innovate within the existing framework. To say 3.0 is without its own shortcoming would be a lie, however. Disney Interactive and its patchwork of studios have yet to forge something that feels truly cohesive and consistent throughout. Comfortably the best of Disney's toy-to-life outings so far, Infinity 3.0 is not without its flaws. Disney Infinity 3.0 does much more than just rely on Star Wars to sell units, though. Enhancements to combat, toy-box tools and vehicle handling combine with the new space dog-fights, racing and more generous cross-over characters to deliver just what fans of the series have been asking for. Disney Infinity 3.0 is the very definition of a game of two halves. 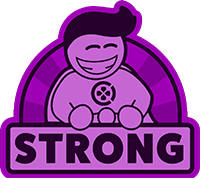 The Toy Box and community content promise to be the most robust yet, with a massive range of different enviroments and characters to unlock and buy. Based on the Playset included in the starter set, it seems that the Disney-developed missions are shorter and more to the point, but there is still a lot of playabiliyt after the main missions are done, whether it be collecting Mynock kills or completing all the side missions and challenges. For the younger players especially, bouncing around as a Jedi or flying the landspeeder around the desert is unlikely to get old anytime soon. The Star Wars property is arguably the most famous universe included in the game thus far, as Disney Infinity 3.0 Edition continues the fairly slow pace of evolving the franchise. Gameplay wise, younger gamers should be in love right out of the gate regardless which version you opt for. Just be prepared to plot your path through stores more carefully if you want to pace how rapidly you add on new figures. Older gamers will also enjoy the game for a time, but will most likely move onto other titles once they have completed the play set scenarios. Still, the appeal of taking control of a young Yoda wielding a lightsaber, bouncing around the screen, slicing battle droids to shreds is appealing to any age. An improvement over the previous Infinity games, Disney Infinity 3.0 is the most definitive instalment in the series to date, putting Disney Originals, Marvel and Star Wars under one roof. Factor in the power and possibilities presented by the Toy Box, and Disney Infinity 3.0 would be almost impossible to resist if a little more attention had been lavished upon the core gameplay. As it is, it's a worthwhile upgrade and excellent entry into the 'toys to life' market. And the figures are still awesome too. A potent nostalgic mix, but despite improved combat, older fans will likely be left bored. While I wish the combat had undergone more dramatic changes, better combos do help it inch its way towards a more naturalistic feel, and the achievement of combining it with a flexible platforming engine makes any omissions pretty forgivable. The Inside Out and Toy Box Takeover sets are the standouts for me, and show a promising future for this series. 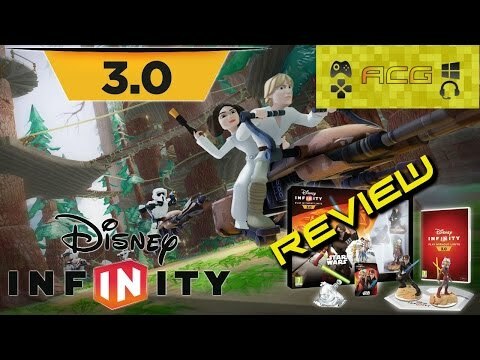 I'd definitely recommend Disney Infinity 3.0 for families with kids who adore Star Wars, as well as for gamers of all ages who love Disney and enjoy creating their own games and levels. If you don't fit into either of those categories, I'm not sure that the game holds its appeal past a few hours of play set fun, and that's a shame considering how much money you need to sink into the game's starter set and any additional characters and play sets you might want to buy. Though I enjoyed my time with the game, I couldn't entirely get past its bugs and quirks. Disney Infinity 3.0 is still leaning on the many possibilities of community-generated content and endless opportunities for customers to empty their wallets for plastic doodads, and not everybody is going to be willing to prop it up. Disney Infinity 3.0's Inside Out Playset is competent, and probably will be enjoyed by young kids who are excited to play as these characters. Unfortunately, as Nintendo fans who have been enjoying a glut of Mario games in recent years, this platforming action doesn't make the cut. It's a bit of Sadness and Anger all wrapped into one little package. Disney Infinity 3.0 is definitely worth a look for those looking for simple, toy-centered fun. The inclusion of a juggernaut franchise in a way that doesn't feel cheap or tacked on sweetens the deal as Disney further carves out their place with all of its toys.